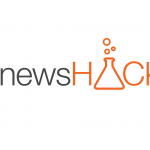 BBC News Labs’ #newsHACK is the handle for News-focussed Hack Events. #newsHACK 1 was in October 2013 in London. #newsHACK 2 (or “II”) was in May 2014 in Dublin and Glasgow simultaneously. This event, in Nairobi Garage, was a hack event held by BBC News Labs and Connected Studio to prototype & launch new pilot News services that will reach young African females. We just ran the Tech Briefing for the “Connected Studio: World Service – Africa” event, at the iHub in Nairobi. This covered Juicer, Content API, FrontLine SMS, and WeChat. The team took some time out at the end of a hard day, at The Bree Louise, to further discuss the News Storyline Ontology, and how we might use complex Storylines at #newsHACK.